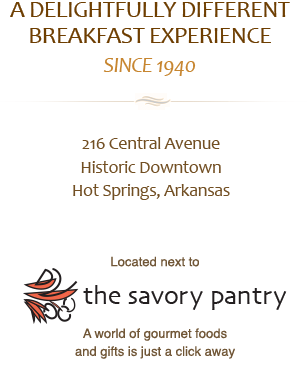 The Pancake Shop is located at 216 Central Avenue, in Historic Downtown Hot Springs, diagonally across the street from The Arlington Hotel. 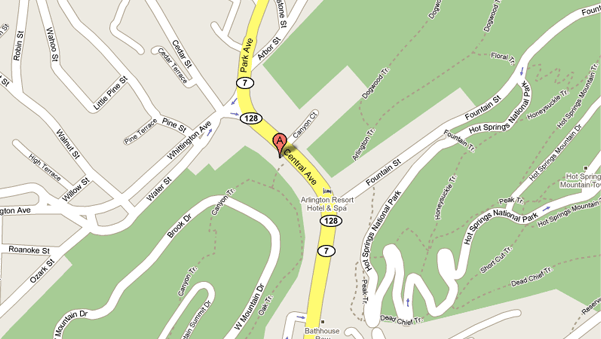 On street, two-hour parking is available on both sides of Central Avenue, and along Fountain Street, which runs alongside the Arlington. Paid parking is available in the lot adjacent to and just south of the restaurant. Additionally, a parking deck is located about 4 blocks south of the restaurant on Exchange Street – a great choice if you plan on spending the day downtown and visiting our many wonderful shops and art galleries.